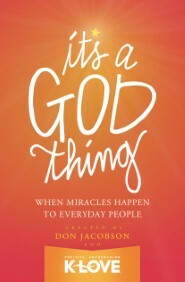 I enjoyed this book as a follow up to the previous volume “When God makes Lemonade.” These are all brief but amazing stories of how God works in the lives of ordinary people in extra-ordinary ways. Some stories are better than others but they are all wonderful testimonies giving credit to God for his miraculous provision. I wonder if this book is marketed toward women readers as probably a majority of the stories are by women and a number of them about miraculous births. I’m looking forward to reading the next book of testimonies as soon as it comes out!